Average monthly costs for this facility are around $3,948. The Springfield estimate for the same type of care is about $3,432. While the US average cost is approximately $4,800, the State of Missouri is about $4,560 each month. 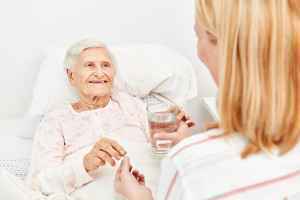 Sutton Home Care is the premier provider of home care and companion care services in Springfield,Nixa, Ozark, Republic, Branson and surrounding areas. Our personal home care services are tailoredspecifically to the needs of your loved ones, at one flat hourly rate. Sutton Home Care, located in Plaza Towers at 1736 E Sunshine St, Suite 501, Springfield, MO is ownedby Brooke Sutton, RN. Brooke carefully selects each caregiver after passing all our screenings andqualification standards. We hire the most compassionate and qualified caregivers who have a proventrack record working with seniors to improve their quality of life and enable them to liveindependently in the comfort of their own homes. Brooke believes it is paramount that each home care patient receives a consistent caregiver for eachvisit and works tirelessly to make certain her clients donât have a revolving door of various caregiversin and out of their house. She typically works the initial couple of shifts with each patient so she canlearn what they like and what services they need in order to ensure the correct caregiver is assigned. Sutton Home Care provides one-on- one companion care to the elderly, disabled Veterans,Alzheimerâs and dementia care patients as well as patients needing assistance while recovering fromsurgery or an unexpected illness, all while remaining in the comfort and safety of home. Our elder home care and senior care services can be provided daily, overnight or on weekends. Wealso specialize in 24 hour home care / live-in home care. Although most of our families are with us formonths or even years, there are NO long term contracts for home care services. Call us today at 417-865-8812 for a free in-home assessment or to discuss how we might be able to help. You can visit ourwebsite at www.suttoninhomeseniorcare.com.